The cluster of galaxies EMSS 1358+6245 about 4 billion light year away in the constellation Draco is shown in this Chandra image. 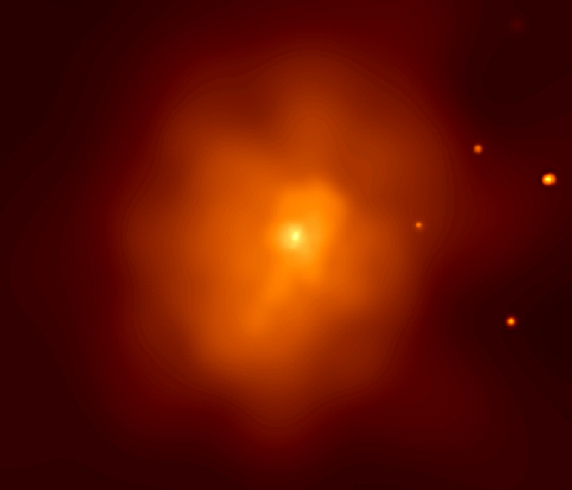 When combined with Chandra's X-ray spectrum, this image allowed scientists to determine that the mass of dark matter in the cluster is about 4 times that of normal matter. 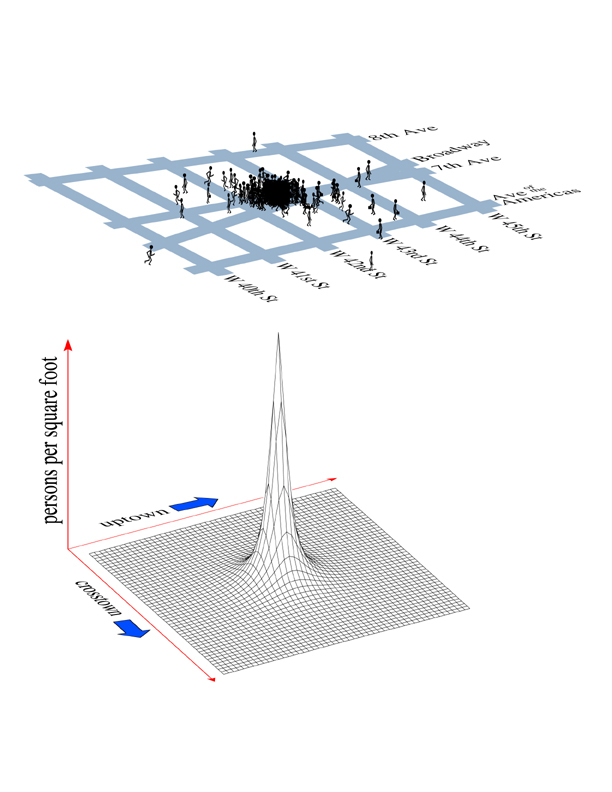 The relative percentage of dark matter increases toward the center of the cluster. Measuring the exact amount of the increase enabled astronomers to set limits on the rate at which the dark matter particles collide with each other in the cluster. This information is extremely important to scientists in their quest to understand the nature of dark matter, which is thought to be the most common form of matter in the universe. Scale Image is 3.8 arcmin across. Coordinates (J2000) RA 13h 59m 50.60s | Dec +62° 31' 04"